The mission of the non-profit, Wreaths Across America, is to Remember fallen US veterans, Honor those who serve, and Teach your children the value of freedom. 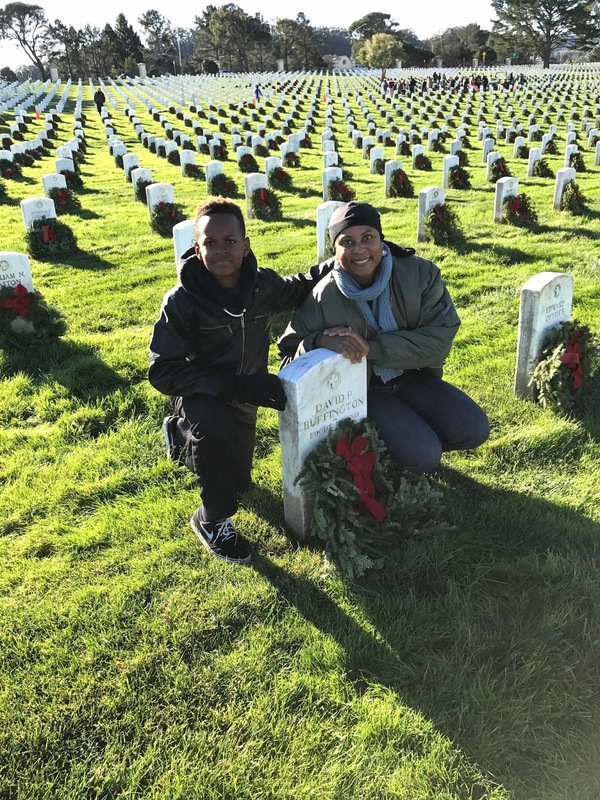 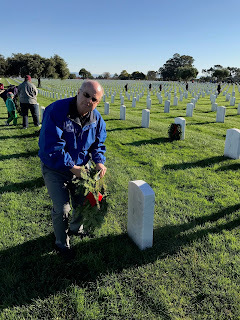 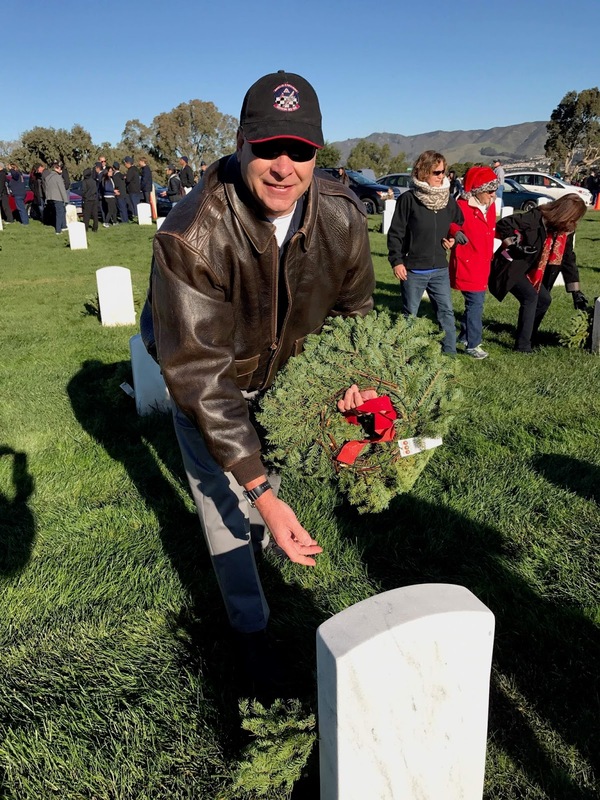 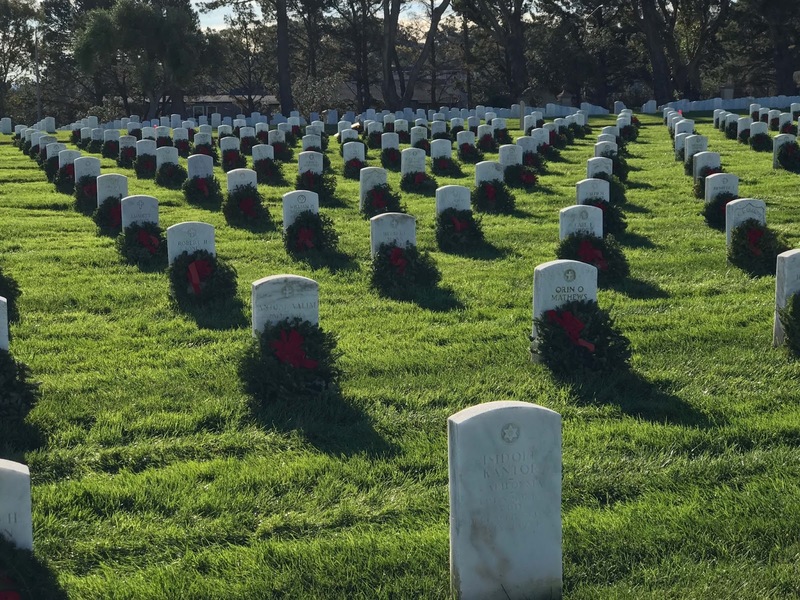 Each December on National Wreaths Across America Day, this mission is carried out by coordinating wreath-laying ceremonies at Arlington National Cemetery, as well as over 1,100 additional locations in all 50 US states, at sea, and abroad. 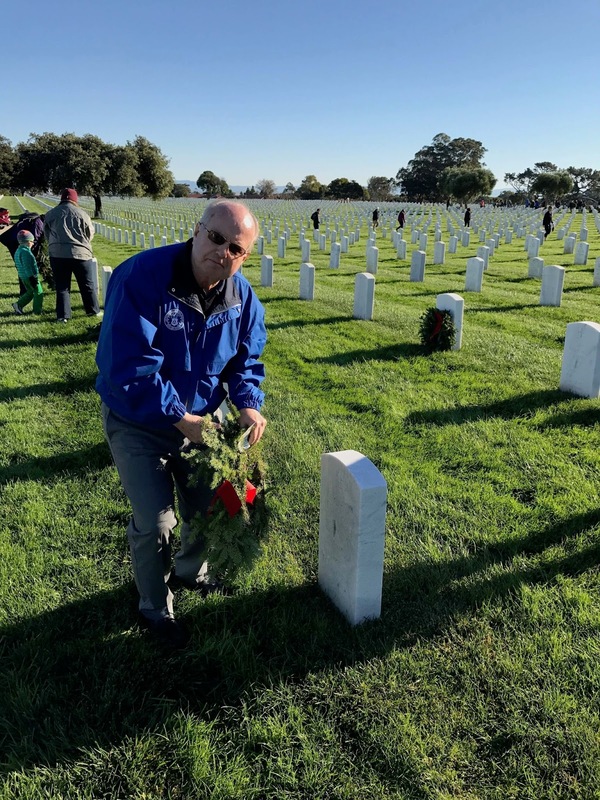 CAP participates annually in this important and moving event. 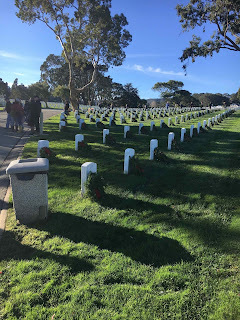 In 2016, three of our squadron members (Capt Stevulak, Lt Bitz and 2d Lt Dhawallah Aisien) attended the ceremony on December 17, 2016, at the Golden Gate National Cemetery.